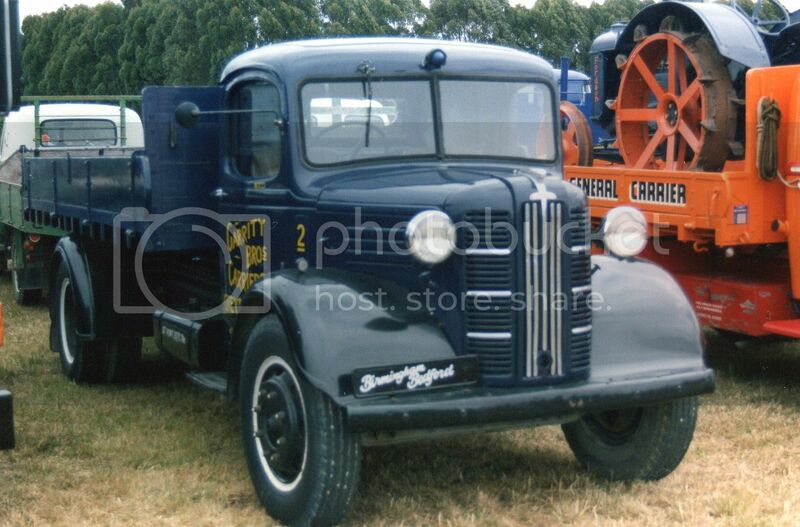 These photos are from the Vintage Harvest at Carterton in 2007. 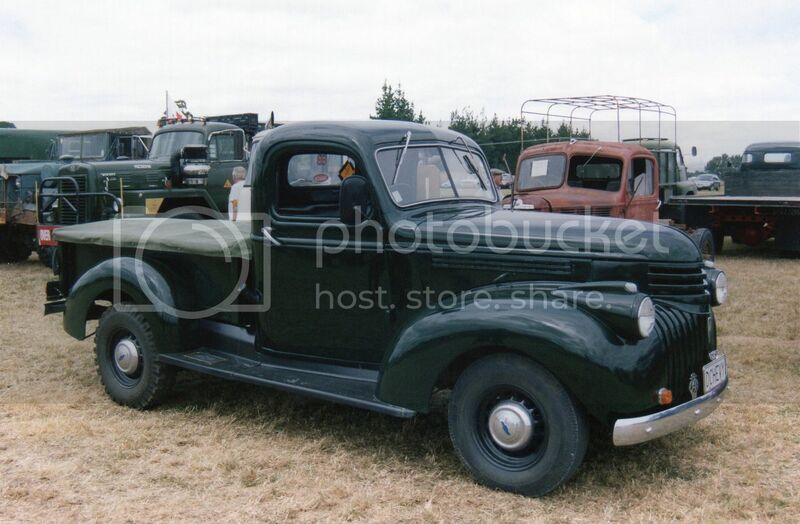 A Chevrolet pick-up from 1945. 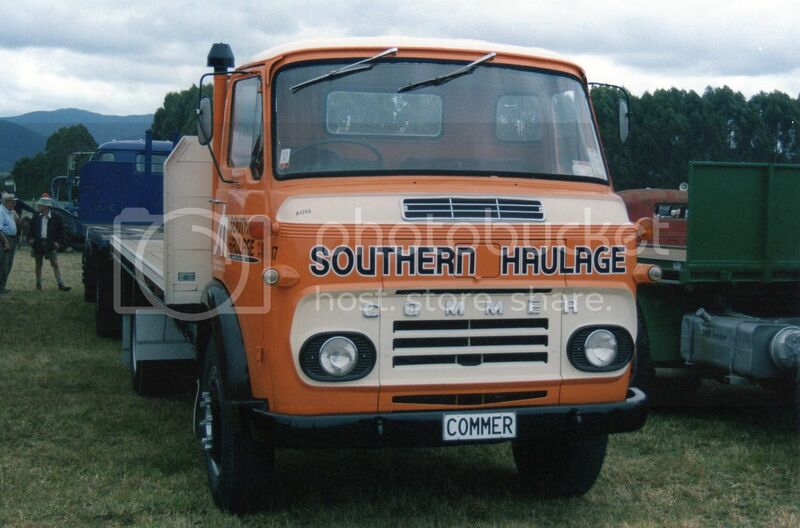 A popular lightweight in NZ in their day. 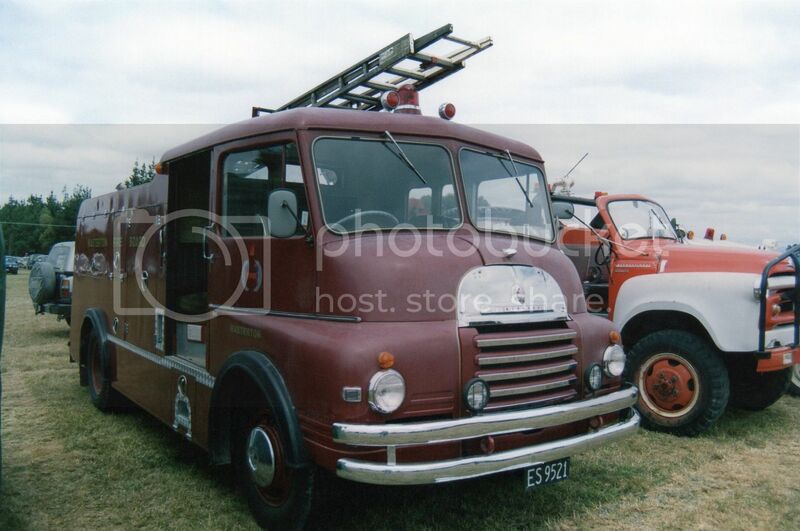 The 1955 Bedford MD was Masterton's No.1 appliance when I was a young lad. 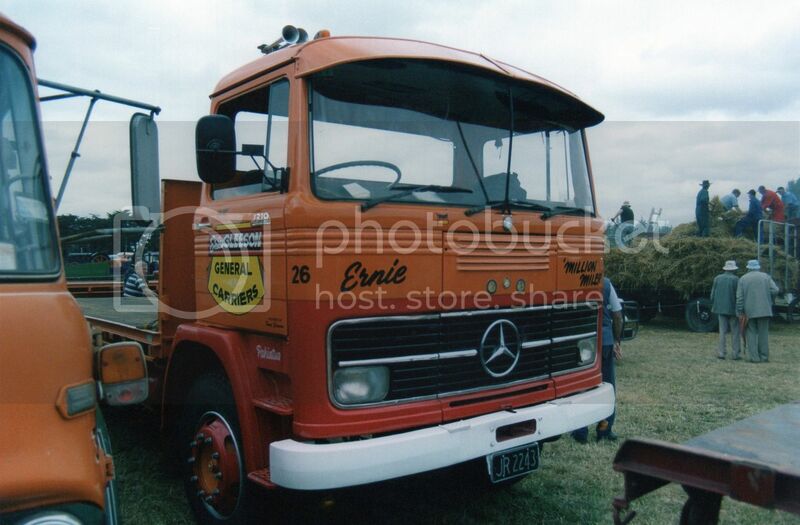 Gleeson's of Pahiatua have this 1973 Mercedes Benz LP1319 named Ernie. It also carries the wording "Million Miler" for obvious reasons. 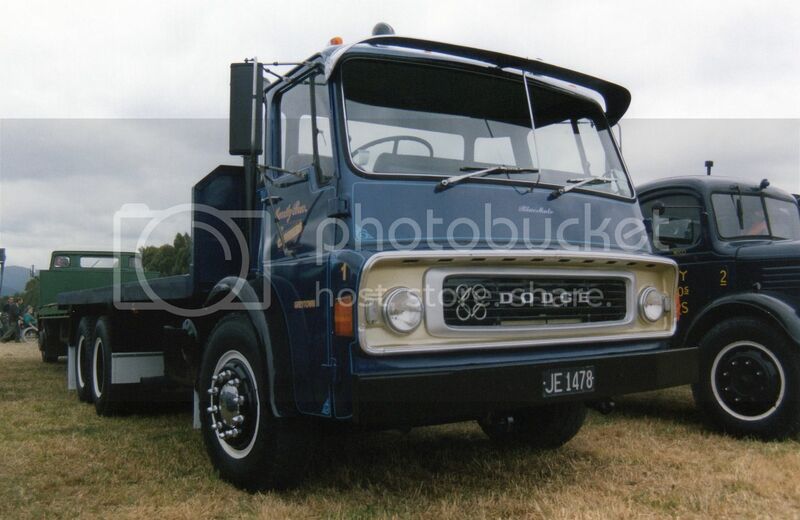 This 1975 Ford D1618 tractor unit was attached to a two axle low loader. 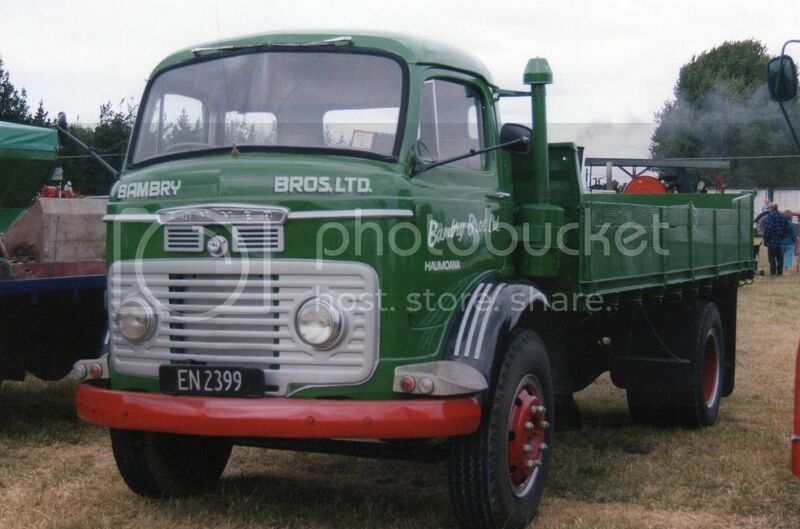 Garrity Brothers of Greytown have a growing collection of old timers, along with their everyday fleet. 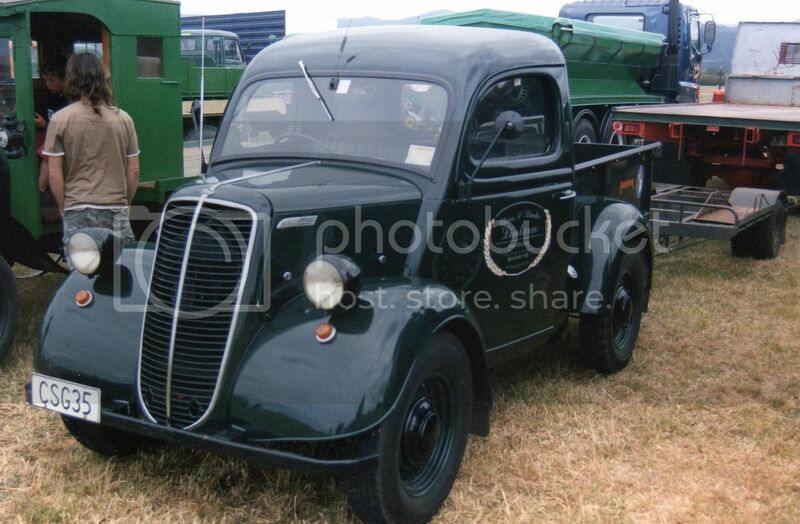 These Austins were very similar to the Bedford of the same era, hence the name Birmingham Bedford. 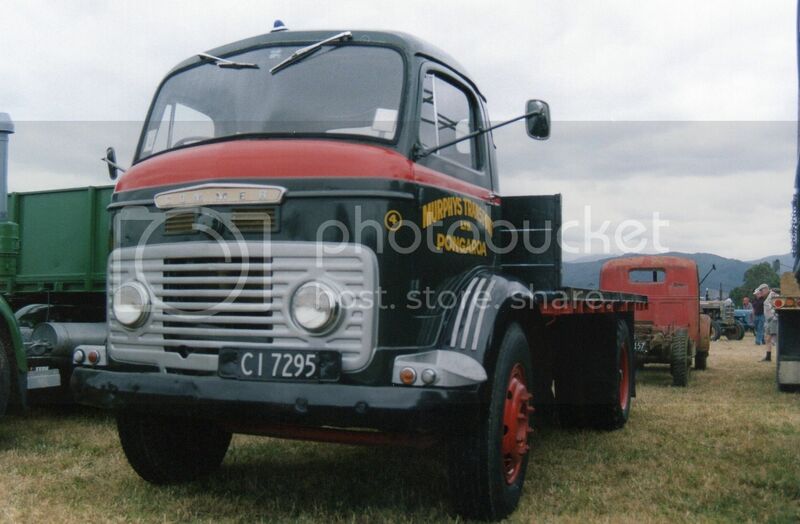 This 1969 Commer is Perkins powered. Garritys bought this Dodge from Sharples Motors in Masterton in 1969. They also own a similar model albeit with Detroit power. The 1954 Fordson pick-up had a tiny deck space. 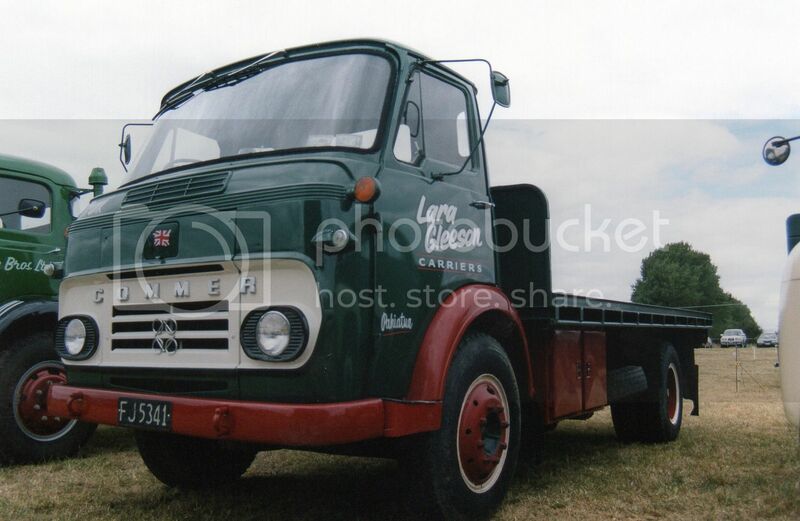 Another 1969 Commer. Two headlamps should mean this is also Perkins powered. However, with restorations, engines and even cabs get swapped about so one can never be sure without a closer look at the mechanical bits. Earlier than the above Commer, but still with Perkins power. This similar model definitely had the oddly configured TS3. 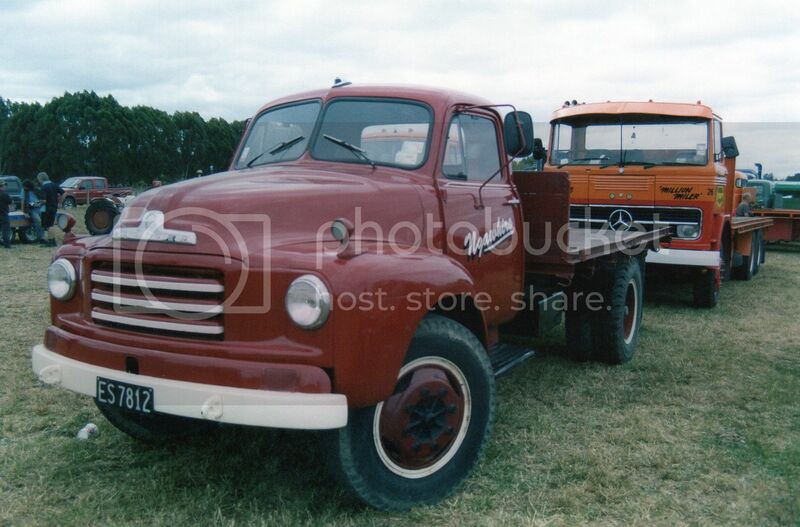 This 1958 Bedford D2 was a typical example of the farm trucks used in this area around that time. 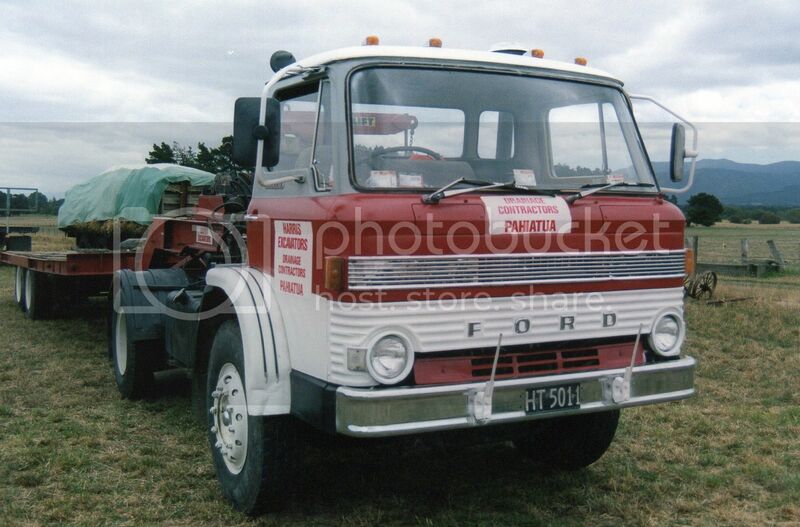 Many farm trucks did not do high mileages and it wasn't uncommon to see them still working in the 70s. Rust often killed them before the engine gave up.